Although child restraint systems undergo testing and evaluation, it is possible that a child restraint could be recalled. In case of a recall, we can reach you only if we have your name and address, so please fill in the registration form to be on our recall list. In order to properly register your child restraint system, you will need to provide the model number, serial number and date of manufacture. This information is printed on the registration card and can also be found on a white label located on the back of the child restraint system. This registration is only applicable to child restraint systems purchased in the United States. 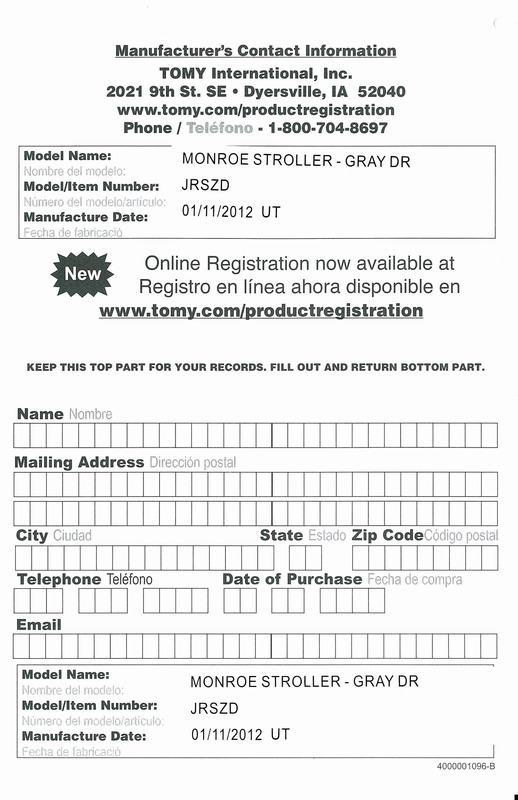 If your item can be registered, the model or item number will be printed on the postcard affixed to your purchase. The manufacture date is printed on the postcard -- it will be in either a month/day/year or year/month/day format and may have up to three letters following the date. 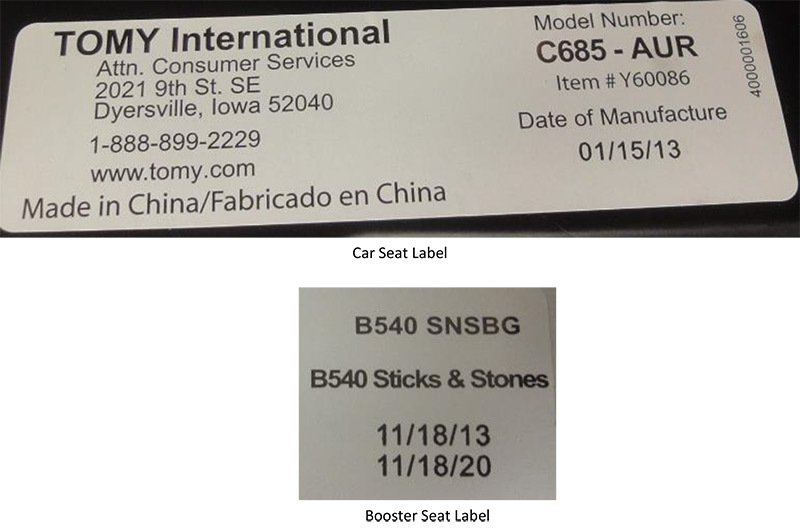 This information may also be located on a sticker adhered to the product (see example).